Attorney Profiles – Paparone & Associates, P.C. 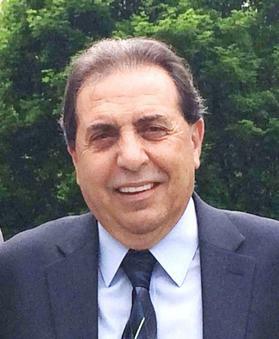 SALVATORE A. PAPARONE, JR. (Sal) is the Founder and Managing Attorney. He has been an attorney since 1982, and has been admitted to practice law by the Supreme Court of Pennsylvania in the Courts of the Commonwealth of Pennsylvania. He has also been admitted to practice in the United States District Court for the Eastern District of Pennsylvania and the United States Tax Court. In addition, Sal is a licensed Real Estate Broker in the Commonwealth of Pennsylvania and a non-practicing Pennsylvania CPA. Sal founded the Law Offices of Paparone & Associates, P.C. (“the Firm”) after 15 years of corporate experience where he held various executive positions for International and Fortune 50 companies. Since founding the Firm, his practice has focused on Personal Injury, Wills/Trusts and Estates, Real Estate and Business/Commercial transactional activity. To service our client’s diverse needs and demands our office networks with independent firms and attorneys on specific matters or specific clients. This facilitates professional, cost effective and efficient services. When appropriate referrals will be available at no cost for any matter which our offices are unable to handle.